I haven't had a series hold my attention like this since Sandersons stormlight series. I can't wait for the next book. Christian Rodska has the perfect gritty voice for these books. Everybody has a very unique voice, but they sound exactly how I would picture people that would be around smoke and gunpowder all the time. The story is absolutely fascinating. There's so much depth and layers to everyone and everything that is happening. There's almost never a dull moment, even for the characters that have menial tasks to accomplish. Next book please! 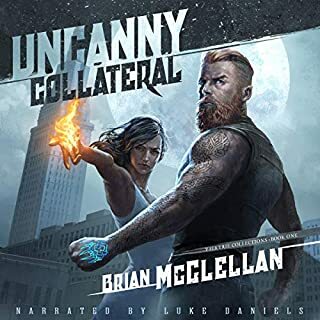 I am happy I stumbled across Brian McCallum. these books have turned out to be amazing across-the-board. I enjoy the unique style and flavor of the magic system. I enjoy the style of the setting, the idea of the world that's growing around it and I really enjoy the characters especially Ben in particular. I cannot describe this second book in this series. 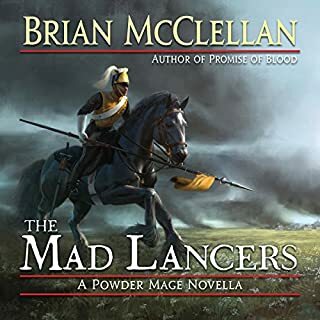 Captivating , spellbinding action, unbelievable adventure and all tied together in a thrilling story of a marvelous world of unusual magic with the talent of Brian McClellan and Christian Rodska. I was drown into this series completely. I can not recommend this enough as I cannot imagine anyone not enjoying and being amazed. Book 1 in this series had a really slow start. Took me 7 hours or so to get to an interesting part in the book. 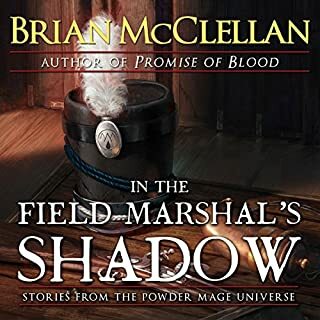 Once the first novel got interesting, the awesome writing and plot that was felt from the Powder Mage Trilogy came through. Parts of this book surpass the previous trilogy. Epic is all I can say. There are few series that I'll re-read. This is definitely one. Falls in the category of Kigkiller and Stormlight Archive for me. McClellan with Rodska is a winning combination! I love the powdermage universe. The series is amazing and I cannot wait for the next installment. Once again Brian has done it again! Great story...or rather stories! I enjoyed all....even if Vlora's made me roll my eyes and get angry with her and her condescending attitude, but still good storyline. Christian does a great job as always with giving each character their own voice. Just wish the book and audio could sync up....denied with this book by whomever makes those decisions. All in all you won't regret getting this book!! Can't wait to see how 3 goes! Hurry up December! 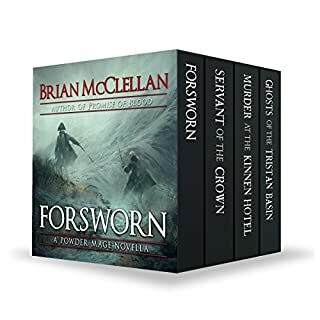 Great series from a great author. 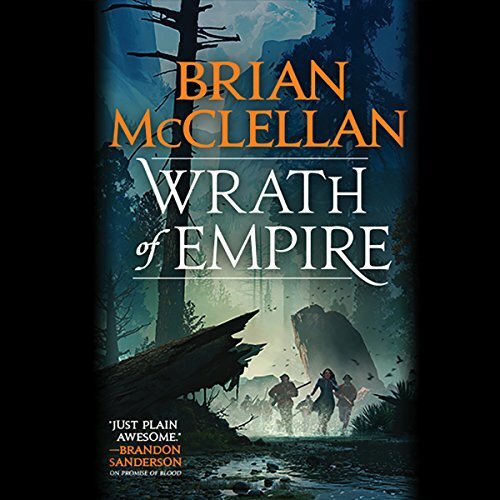 Wrath of Empire is another great book by Brian McClellan. I met him at the Salt Lake Comicon (now FanX) several years ago, when he basically begged me to buy his first book. Brian, I have to thank you for that. I have gotten more joy from his books than I have from almost any author. Wrath of Empire is the second in a great trilogy (this far). 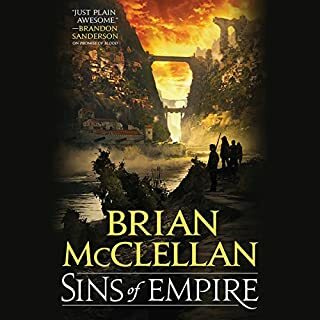 Brian does a great job with world building, it is both unique and feels familiar. His characters are very human, with heroes that are not lily white, and villains that are not dark black. They are full of depth and complexities that he continues to delve into. I cannot wait until December for the coming finally. I am also looking forward to his new series, that will be taking place in what looks to be a new world. 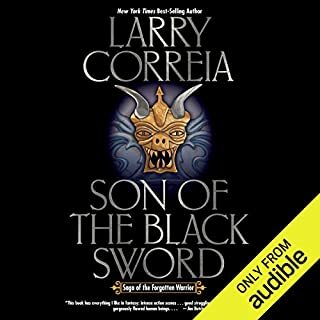 I like the series so far,the first book dragged on for quite a while but eventually the story starts rolling.I liked the plot twists. This not a great series but a very well done good series.I have been burning through them. Listening during my commutes and lunchtimes.